"His strategic planning and change management ideas are well constructed and often adaptable to flexible circumstances. I would recommend Teik to any business looking for strategic business and management advice"
"It was delightful to work with Teik. It was a superb experience and we benefited from excellent facilitation from Teik." "Teik is meticulous yet never loses sight of the business objective." "Teik is a highly experienced professional in the art of improving organizations. His insights into leadership, strategy and change are invaluable." "Teik is a visionary and it was a great privilege to have worked with him." "In my opinion Teik Oh is the No 1 in his field…always full of ideas and enthusiasm but also a solid and reliable person to turn to for advice." "Teik is an individual with excellent communication skills and capabilities that provides him with the ability to excel in the delivery of his services." "For many years Teik has provided strategic advice to us on every aspect of our businesses. His specialised knowledge has always been invaluable to us and he has an intricate and complete understanding of the way in which we work, this coupled with his innate intuition and expertise allows our business activities to flourish." "Teik takes a whole of business perspective and works with you to ensure actionability and positive outcomes. His standout qualities are his expertise, personal rapport and his preparedness to go the extra mile." "Teik is a highly skilled Consultant with expertise ranging from Strategic Planning, organisational change and leading businesses at a strategic level." "Teik is a highly competent and dedicated business consultant with a fine eye for detail and a great deal of people skills." "I can unhesitatingly recommend Teik to any individual or organisation seeking to engage his services.Teik's professional abilities and capacities and his personal qualities are of the highest character and integrity." Teik is a fantastic business advisor who presents as very professional, and with great results. "Teik's work is of a high standard and he comes with integrity and vast knowledge and experience. 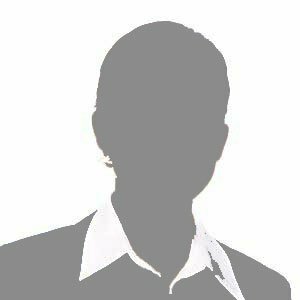 Teik brings a creative mind and offers value for money." "Teik is a fantastic person to have working for you offering an understanding of your needs and being able to efficiently and effectively deliver on those requirements." "I would strongly recommend Teik to my clients." "Teik has demonstrated to me that he has a great ability to take complex problems, clearly identify crucial of issues and develop innovative solutions. He has demonstrated not only substantial professional knowledge, but also a very amiable and empathetic approach." "Teik is of the highest integrity and professional standards. I have no hesitation in recommending his services." "Teik has provided my business with services for over four years now. He has always shown a sympathetic understanding of the business environment that I operate in and an interest in where my business was heading." "Teik applies his experiences as a business owner and profession as an accountant to work with SME's to create and implement user friendly and understandable business/strategic plans." "He has provided accurate, detailed and considered advice in a reliable and professional manner." "I have found his advice and detailed work unfailingly expert and accurate, and excellent value." "Teik is outstanding at what he does. Each time, he has shown a detailed understanding of the subject he is dealing with, a detailed understanding of our needs and the environment that we work in, and is always helpful in assisting us to develop ideas and solutions that meet our needs. I would highly recommend him to other companies." "Teik is an independent thinker with great depth of knowledge and most importantly high ethical and moral standards. I highly recommend Teik as an all round Business adviser." "Teik is a professional and reliable consultant that undertakes work with pride and desire to provide a polished and user friendly product." "Teik provided excellent business advice and guidance. I highly recommend Teik!" 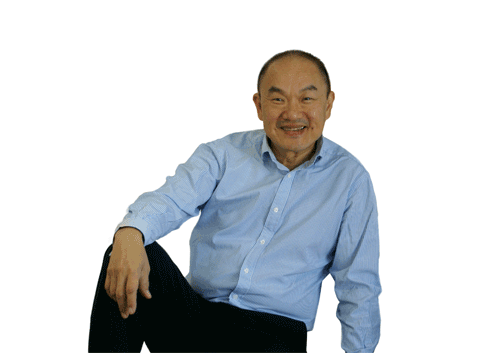 "Teik Oh brings a refreshingly pragmatic approach to business planning and consulting. He cuts through the distractions of whatever is the latest “management speak” so that the focus is firmly on delivering the best outcomes and profit. He targets outcomes and is cognisant of his client’s personal goals." "He has fully equipped mewith the information that I require to ensure that the best outcome is achieved. I would have no hesitation in recommending Teik to any organisation that values enterprising and innovative thinking." "Teik has helped me and my small company immensely."